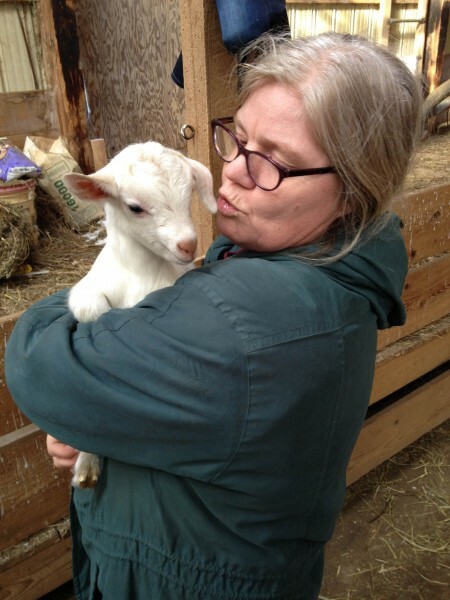 From a fairly young age, Pete has been engulfed in the Lively Run farm and cheesemaking lifestyle. 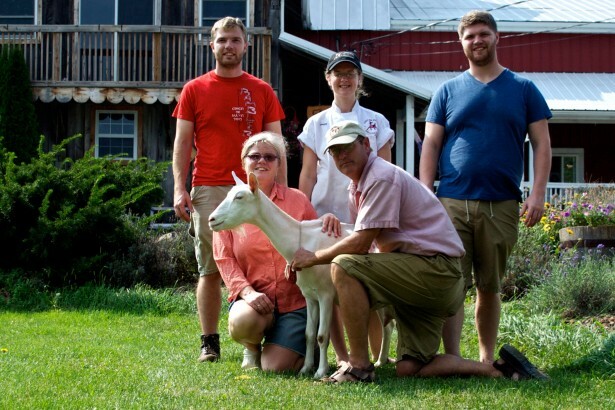 In 1995, his parents purchased Lively Run Goat Dairy. As a seven-year-old, this purchase provided young Pete with new adventures and interests, such as playing and feeding the goats and tasting fresh cheeses. Pete grew up learning to appreciate the intricacies and details needed to operate a dairy by helping out with chores on the farm, and once he was old enough, around high school, he began to work on the farm during the summer. 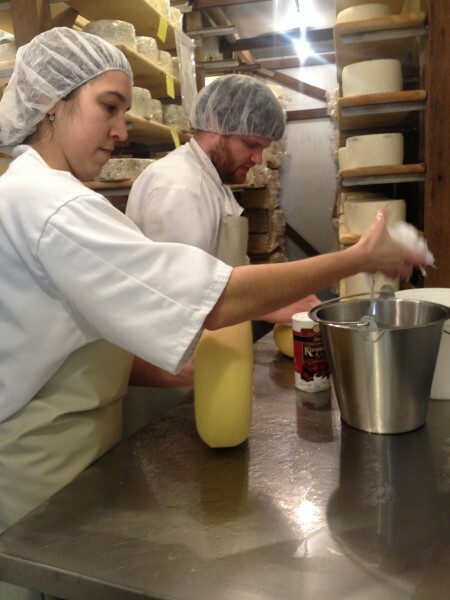 Even as Pete attended Ithaca College, he worked on the farm and in the cheese room as a summer job. Pete has been involved with Lively Run Dairy for almost twenty years now and was beyond excited and prepared to take over as Head Cheesemaker this year. He will be taking over the position of head cheesemaker at Lively Run from his mother, Suzanne Messmer, who has held the position since the Messmer’s took over the farm. Throughout the years, Suzanne taught her son everything she knew about cheese, the cheese making process, and the cheese industry. When did Pete’s interest in food begin? When Pete was a little boy, he dreamed of becoming a chef. Unfortunately that did not work out for him, as he never really focused on the craft. A lot of his admiration for the culinary arts is actually due to the Messmer family’s rich ancestral history in Germany. While visiting his remaining family in Germany over the years, Pete learned to not just taste food, but analyze its flavors and textures to determine what would make a great meal. However, while his European travels helped inform him about his sense for foods, working in the cheese room with his Mom solidified his fascination and passion for making cheese. What exactly does a Head Cheesemaker do? 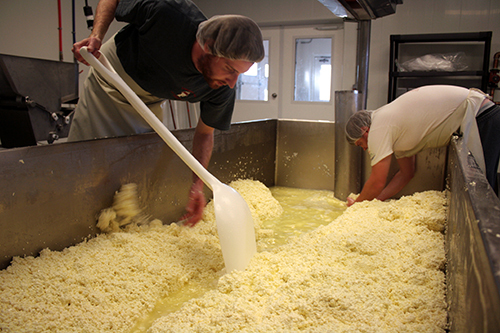 Additionally, much more is involved in cheese making and within Lively Run Dairy’s frameworks than one might initially think. And as the Head Cheesemaker, Pete is in charge of overseeing everything that goes on. Between getting milk, pasteurization, stirring milk, packing molds, turning molds, poking holes in the blue cheese, cleaning the cheese room, cleaning the cheese, cutting cheese, packaging cheese and so much else, Pete and his cheesemakers are kept consistently busy. What’s the best part of the Pete’s job? 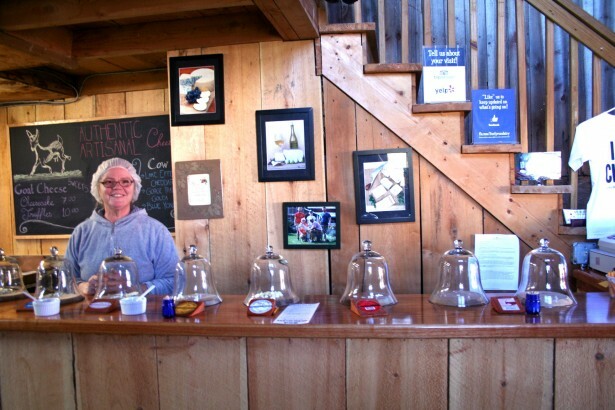 This past year alone, the Lively Run farm has experience a massive overhaul and expansion project to accommodate their new and innovative tourism experiences. Besides building a new office space above the cheese room, the Messmers have enlarged the cheese shop, where guests can purchase cheese, introduced prepared foods such as goat cheese cheesecakes and truffles to their shop, and built a new pavilion that includes many tables and chairs for guests to sit, relax and enjoy themselves. Additionally, Lively Run created an informative video that describes the detailed process of cheese making. 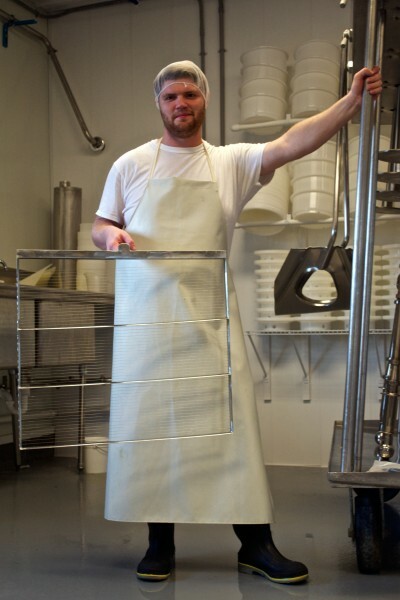 Pete is excited about this new medium and how it will help introduce guests to Lively Run’s art of making cheese. “Showing them the care and attention that goes into every cheese is our goal,” he says. What future cheesy endeavors will Pete Messmer explore next? For the summer months this year, Lively Run will be releasing limited-time cheeses that will only be sold in the Lively Run cheese shop. 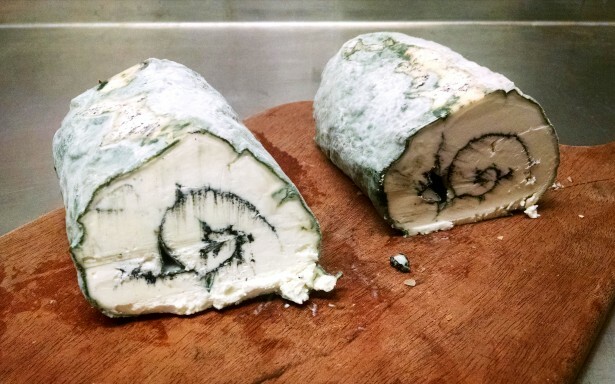 During the month of May, we released a cheese called New Moon, that was a soft goat blue cheese with a swirl of vegetable ash in the middle. “I’ve had a couple ideas brewing that I am really excited to test out during our limited release cheese month’s,” Pete explains. “I’ve been working on a Swiss, Alpine-style cheese. If all goes well, eventually that will be made available wholesale to our restaurants and partners, and available year round.” The cheese Pete described, now called Willow Hedge Swiss, named after the original name of the Lively Run farm before the Messmers purchased the dairy and changed its name, was released during the month of June for a limited time, and was very positively received by customers. Pete is clearly buzzing with excitement for the potential of Lively Run Dairy. 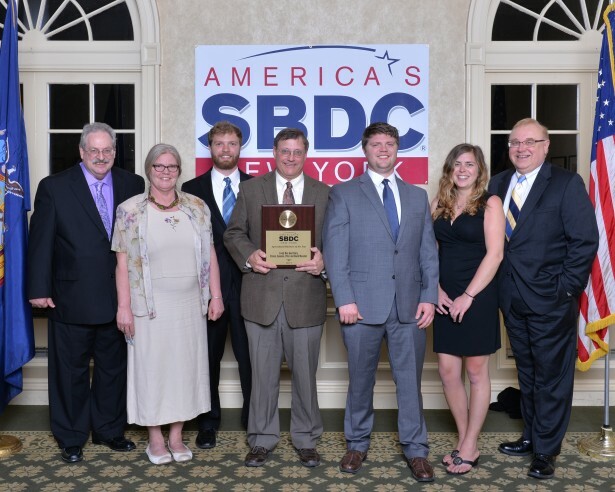 Just this past April, Lively Run won the 2015 New York State Small Business Development Center’s Agricultural Business of the Year Award. As a driven and talented cheesemaker and son of the Messmer family, Pete is excited to take on the challenging task of Head Cheesemaker and lead Lively Run Dairy into the future.